From IKEA: Vika Amon table top, Vika Oleby table legs, Index curtain rod hangers, Mala drawing paper roll, brushes, paints. From the hardware store: wooden dowel, cut down to size with a handsaw. Turns out what you need to get a kid interested in art is to actually have a place to make said art. Shocking. what a great project - really creative use of IKEA stuff. You are so creative. I love each of your apartment overhaul ideas. 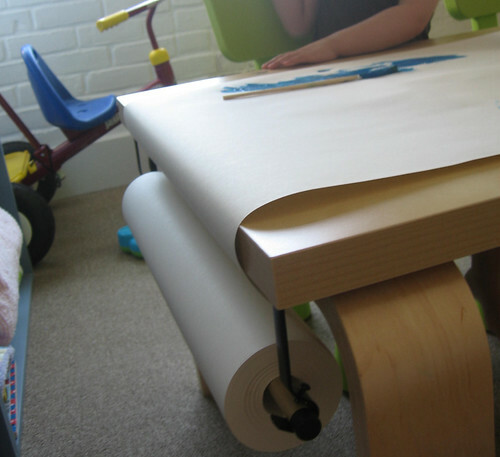 I intend to shorten the legs of a wooden table from the thrift store, for my younger children, but adding the hardward and paper roll would make it perfect! 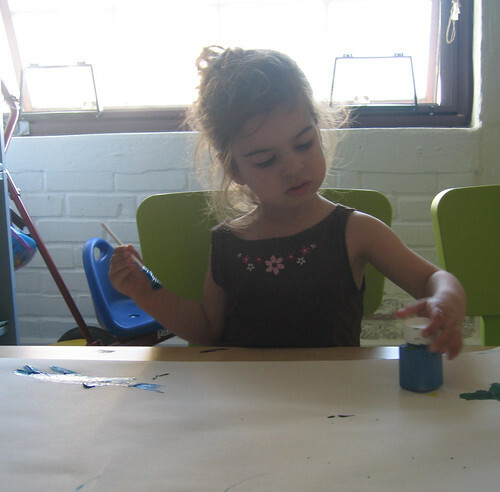 Turns out what you need to get a kid interested in art is to actually have a place to make said art. Thanks for the great idea. I'm going to do something similar on my craft table. 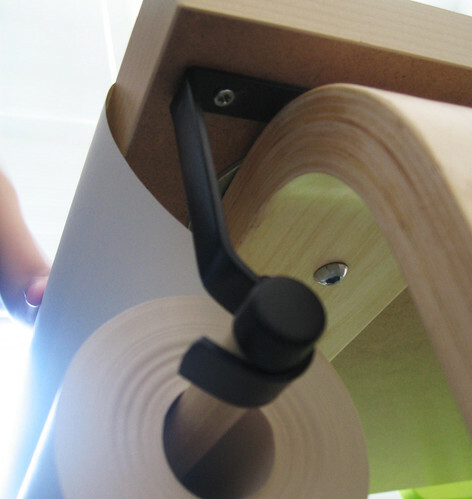 Just have to find a paper roll locally, since we only get up to Ikea once or twice a year. That looks great! About how much did it cost to put together? Sorry if that's a tacky question, just curious before I get all excited about making one too!